Historical CSA Cavalry Saber Replica Sword | BUDK.com - Knives & Swords At The Lowest Prices! 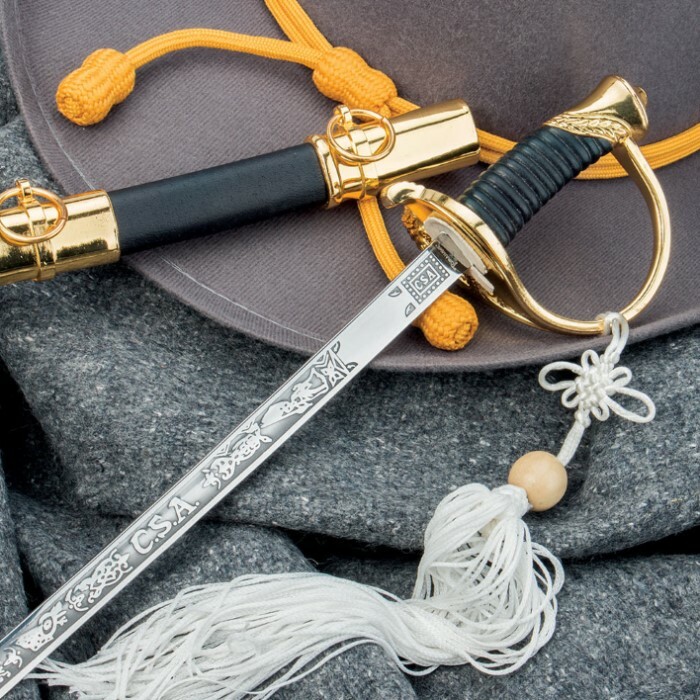 Our CSA Cavalry Saber is an excellent high-quality replica to use for reenactments. This saber will put the finishing touch to your Confederate uniform. It features a 11 1/4" stainless steel blade with a CSA design on the blade. 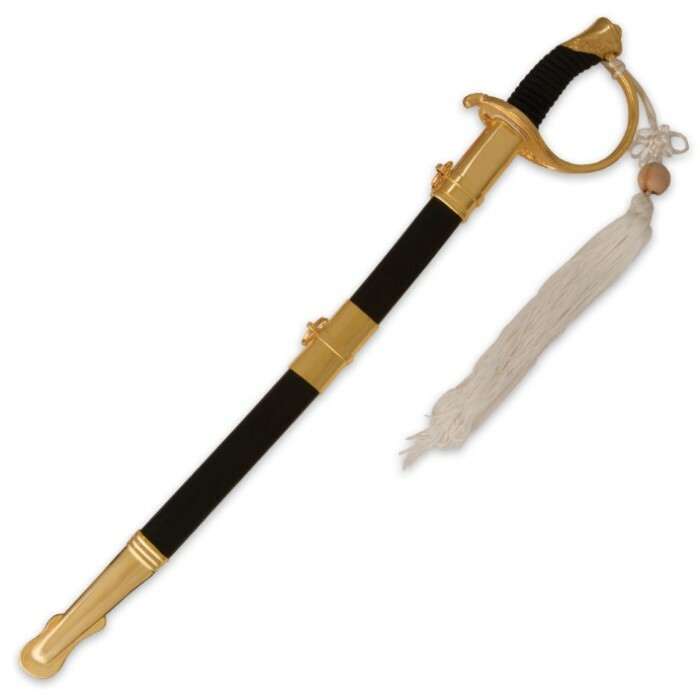 Both the hand guard and pommel are brass-plated and the black handle has a ridged texture. The blade slides into a matching scabbard with brass-plated fittings. I did not buy this from true swords, but I own it. The sword is very beautiful, and is intended for being a wall mount. Nice collectors item. Smaller than expected, I thought the blade was 18 in. but it turned out the whole saber is. Aside from that a good looking item. This little sword works great as a letter opener,and makes for a nice gift for any Civil War buff,or history enthusiast.I bought two on a chance,and was not disappointed.Buy it! Nice mini sword for my collection. A nice mini for display. Well made. 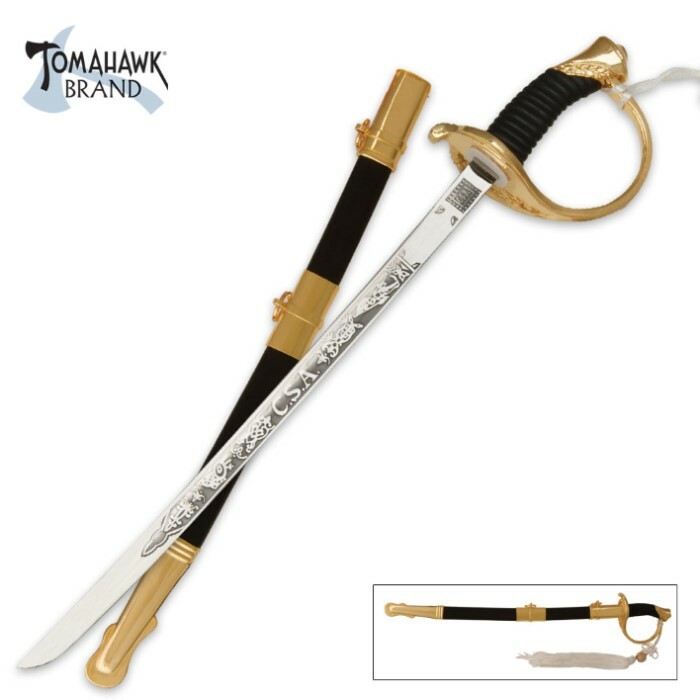 This miniature reproduction of a CSA sword is fantastic. The price is a great deal and it is very authentic looking. At 18 inches long, it fits perfectly in the limited space available and is a great addition to anyone who is interested in the Civil War. Really awesome mini saber for a great price!! Beautiful saber, great detail. Only negative is blade is not sharp! Still put to good use on envelopes..
As gorgeous and authentic as it looks, the Cavalry Saber is just a tad too small to carry into battle -- unless you're waging war on envelopes; then, it's the perfect size. Still, it's such a beautiful repro, authentic in every detail but size. Still looks cool, is a helluva conversation piece, and looks great on my wall right beneath the Confederate Bowie and Plaque. And the price is nice!